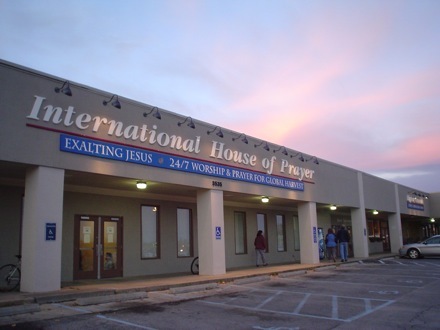 In June of last year I began full-time ministry as an “intercessory missionary” joining about 400 other missionaries at the International House of Prayer Missions Base in Kansas City. This past year, the Lord has answered many of our cries to heaven as we lift our voices, while others are sleeping, during the Night Watch. I look forward to this next year of watching the Lord move at the sound of our voices as we “humble ourselves and pray”. I have also had the privilege of pouring into the lives of 60-100 interns from all over the world who come every three months and spend six hours a night, six nights a week in the prayer room. I really have to testify that coming to Fire in the Night I feel has been the single best decision I have made apart from my salvation–It really has changed my life! In October, the IHOP Mission Base had its annual Halloween outreach. 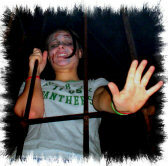 This year we helped a church put on the production of a reality-based haunted house. Inside, for fourteen nights, 3,200 people walked through several gripping scenes: a car wreck from drunk driving, a drug overdose, a woman going through post-abortion trauma, gang violence, and a suicide. From there they took a train ride through hell. At the end, they found the only hope of avoiding eternal torment hanging on a cross: Christ Jesus, bearing the wrath of God for their sin. After this compelling walk-through, we gave them a survey of what they thought about it. The questions pointed them to where they would spend eternity. We rejoiced with the angels in heaven over the 442 people who prayed making decisions for Christ! I excitedly shared my dream with Lou Engle, director of the Justice House of Prayer in Washington, DC, hoping it would bear some significance to him. He replied that he felt like the dream related to me personally and my carrying a burden for abortion ending in Kansas City. I was rather embarrassed for taking his time with a personal dream. In April, Stuart Greaves, section leader of the Night Watch at IHOP, pulled me aside and told me that we were doing a Silent Siege in Kansas City and a 21 day fast for the ending of abortion. Over the next few weeks, I realized this was the “other siege” and “fast” that the Lord had told me about months before in the dream! Stuart asked me to lead the Night Watch’s involvement in the siege. 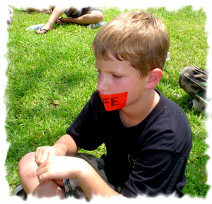 So, I joined the leadership team of the Silent Siege, representing the Night Watch. 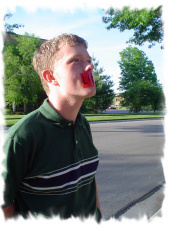 On May 7th, we began this “Silent Siege” from 8 am-8 pm at the Planned Parenthood Abortion Clinic praying silently for the ending of abortion, wearing red tape with “LIFE” written on it over our mouths. Those of us in the Night Watch joined them everyday for the last four hours and then prayed at IHOP in a focused way from 12-6 am for the ending of abortion in Kansas City. On the third day of the Silent Siege a man driving past stopped to talk to us. He testified to us, “I have personally murdered more than 10,000 babies.” Having performed these abortions until 1979, the doctor testified, “Last July my granddaughter was born. It struck me, O my God, what have I done. I cried out to God to forgive a mass-murderer like me. 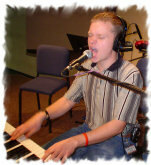 I am now a born-again Christian.” He stopped to tell us that what we were doing was truly making a difference. 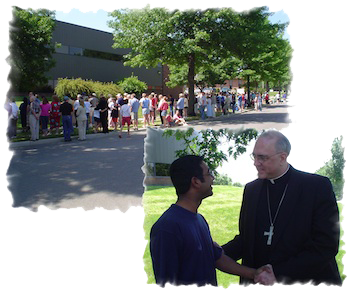 On Saturday, May 21st, over 400 Catholics, including the Bishop of the area Catholic churches, came to joined us for the Silent Siege. 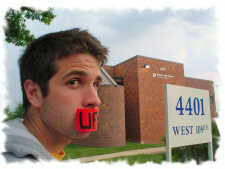 At the beginning of that week, Brent Steeno, the director of Bound4LifeKC, had a dream in which the Lord said that abortion will end in Kansas City. To confirm this word, the Lord said that the news media would come to report on the siege by the end of the week. Sure enough, news teams from two local television stations were present to report on the Silent Siege. On the eighteenth day a young lady drove into the parking lot. She had reluctantly come to the Planned Parenthood Abortion Clinic to abort her baby on the advice of her mother and some others. However, when she saw us, she stopped to talk to us and told us that she had prayed for God to give her a sign if He did not want to her to abort her child. When she saw us silently praying, she knew that God had answered her prayer and that she was to keep her child. She wept as she shared her story with two ladies on our team. We then collected an offering for her to help fund her pregnancy. As I stood in front of the clinic in Kansas City that was responsible for the deaths of 30-50 babies a day, I dreaded such a clinic coming to my city. 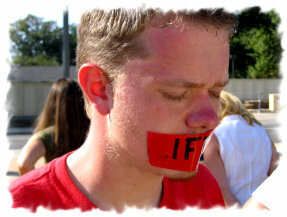 I began to dream about doing a Silent Siege in front of the Planned Parenthood Clinic in my hometown, Lufkin, TX. 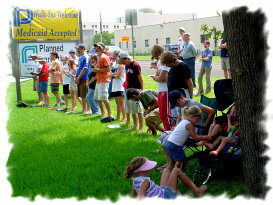 Though the clinic in Lufkin does not practice abortions, they do refer people to clinics in Houston. In addition, they are actively expanding their services, and they will very likely, if unchecked, expand those services to include abortion. As I prayed I told the Lord, “It is not okay with me for there to be an abortion clinic in my city!” So, I felt I was to take this battle for LIFE to my home town. Anywhere from thirty to fifty people gathered in silence, August 1st-5th, crying out for God to rescue the unborn in Lufkin from the wickedness of Planned Parenthood. Partnering with Lufkin for Life and several local pastors and leaders, I believe we saw a significant beginning of the end of this clinic’s negative influence in Lufkin! Every day we stood in faith believing God for nothing less than the shutting down of the clinic in Lufkin and the ending of abortion in America. Making the front page of the local paper and the top story on television, we believe that the Silent Siege did make an incredible impact on the city. However, by far the greatest impact made was in the heavens as we allowed the voices of the unborn to be heard “even in our silence“. During the first week of October, I returned to the Justice House of Prayer in Washington, DC joining my covenant brothers and sisters praying silently in front of the Supreme Court for the ending of abortion and for revival to come to our nation. We began Monday, October 3rd, the opening day of the Supreme Court and our one year anniversary of the Silent Siege, praying in silence for the ending of abortion. It was a really important day as Chief Justice John G. Roberts began his first day on the job. Outside the courthouse, Roberts and his family were cheered by about three dozen members of Bound 4 Life, an anti-abortion group that has been a steady presence in front of the court. 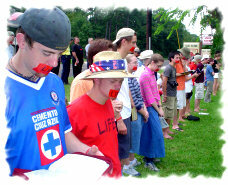 Many of the group’s teen to young adult members had taped the word “life” over their mouths, while others sang religious songs and lifted their arms in the air. Some members called out to Roberts directly, saying, “We love you,” and “We’re praying for you.” Roberts maintained his by now familiar, steady grin, and only his wife, a pro-life attorney, waved at the group. I help Dan, my Worship Leader, with scheduling musicians and singers; shepherding our team of 20-30 intercessors, musicians, singers, and techs; leading our singer’s and musician’s practices; and keeping the team focused on the vision and values of IHOP. These responsibilities are pushing me into a greater dependency on Jesus. 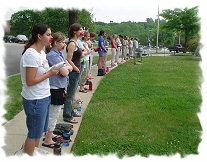 lead the Night Watch in praying for the ending of abortion, for our government, and for other justice related issues. This past year I have been responsible for the Night Watch’s involvement in the Kansas City Silent Siege, managing small prayer meetings, and keeping the Night Watch informed of the latest related news and events. land and pushing it slightly to the east.” Perhaps our prayers during the Night Watch in the Midwest town of Kansas City played a part in our merciful God sending that “puff of dry air”. I am very thankful, either way, that God heard our cries weakening the hurricane from a Category 5 to the less-threatening Category 4 and pushing it to the east avoiding hitting New Orleans head-on. 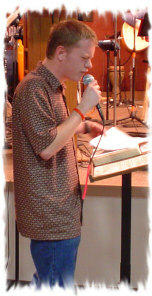 In February I launched my new ministry web site, www.hungrygeneration.com. The web site provides an archive of my newsletters and e-mail updates and provides teachings on Intimacy with God, Bible Study, Justice Issues such as overturning abortion, and the End of the Age. Since May of 2005, 1,452 unique visitors from 31 nations have received ministry from the web site including two nations closed to the gospel and the nation of Israel. On the web site I also have an online store with resources from IHOP and the capability to support this ministry with a bank draft or credit card. In February the local Kansas City FOX News Affiliate reported that there had been a drop in crime in the neighborhoods around the International House of Prayer. Amazingly, the police department credited IHOP for the drop in crime! At IHOP, we believe that night and day prayer pushes back darkness. It was incredible to see even the police force recognize what the Lord is doing as we pray. I plan onspending another year at IHOP in Kansas City on the Night Watch crying out for revival in our nation and the nations of the earth and for the ending of abortion. I believe, we can see significant victory over these areas if we prevail in prayer. We and our partner ministries are in regular contact with world missions organizations such as YWAM, Senators such as Sam Brownback of Kansas, and other key leaders and organizations getting specific information in order to be effective and targeted in our prayers. I believe with all my heart that we are changing our history through prayer and fasting. How Can I Be A Part of This Ministry? In order to continue this ministry of prayer I need partners in ministry who want to help through financial giving and regular prayer. I can not do this ministry alone. In Romans 10:14, 15a Paul asks a series of questions describing how the gospel goes forth, “How then will they call on Him in whom they have not believed? How will they believe in Him whom they have not heard? 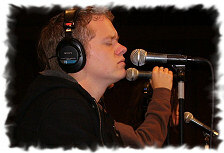 And How will they hear without a preacher? How will they preach unless they are sent?” Some of you might be called to this final element of the gospel going forth: sending. Would you consider giving a special gift sending me out and enabling me to continue this ministry or prayer into the next year? You can respond today below by giving electronically or by mailing a tax-deductable gift. Thank you for your consideration. There is another way you can help send me into this next year of ministry. I will be in the East Texas Area from January 22nd-31st. I want to have 5-8 small House Meetings. In these meetings I will share the vision of this ministry of prayer, have a short time of worship and ministry and will invite people to be a part of this ministry. Do you know 8 or so people that have an interest in prayer, worship, or the ending of abortion? Would you consider having them over for a couple of hours to fellowship and hear this vision? If you are interested, please e-mail me for more information. May you have a memorable Christmas growing in the knowledge of Jesus who took on flesh entering into this world to die for our salvation and His glory!